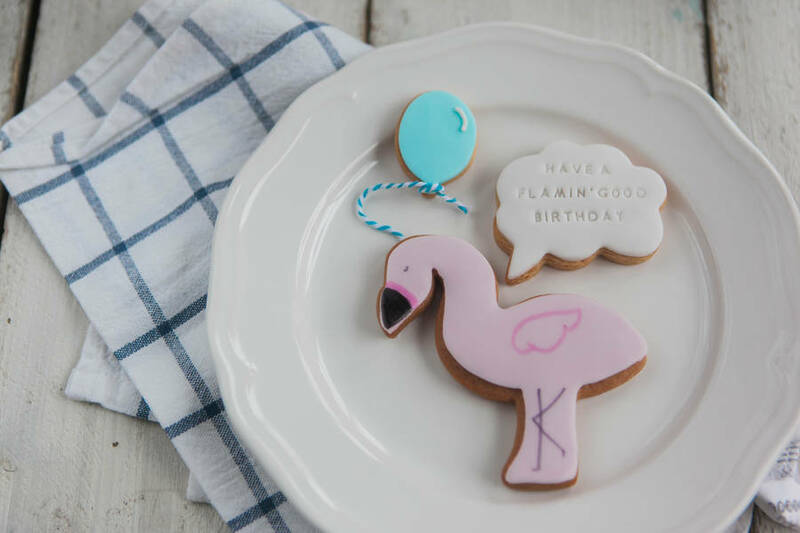 These biscuits make a perfect birthday gift! 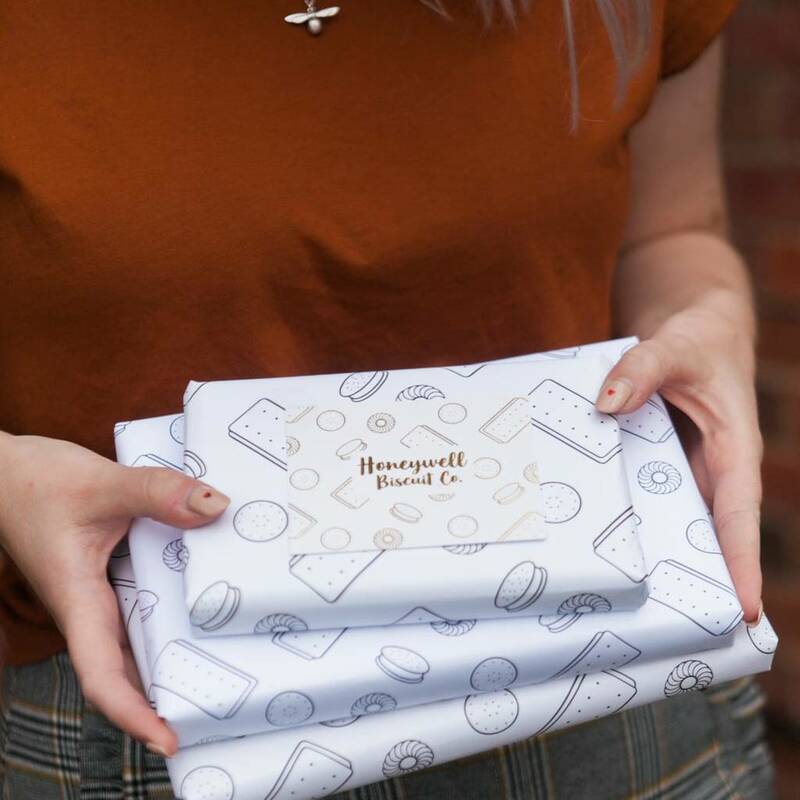 Each biscuit is handmade using the best local ingredients and fairtrade vanilla beans, before being carefully iced and packed into our special matchbox gift boxes. 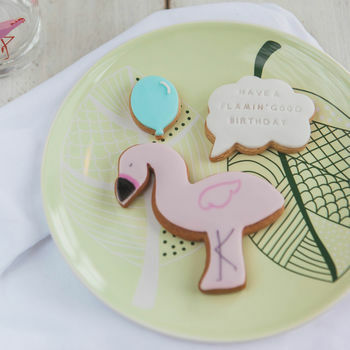 Includes three delicious vanilla biscuits - a flamingo, a balloon and a speech bubble. Presented in a small gift box, and can be delivered straight to your loved one's door. The package will fit through a letterbox. If you order a medium gift box you will receive four cute avocado biscuits. The parcel will fit through a standard letterbox. Ingredients: Biscuit: flour, sugar, butter, golden syrup, egg. Icing: Icing Sugar, egg white, glycerine, lemon juice, colourings. 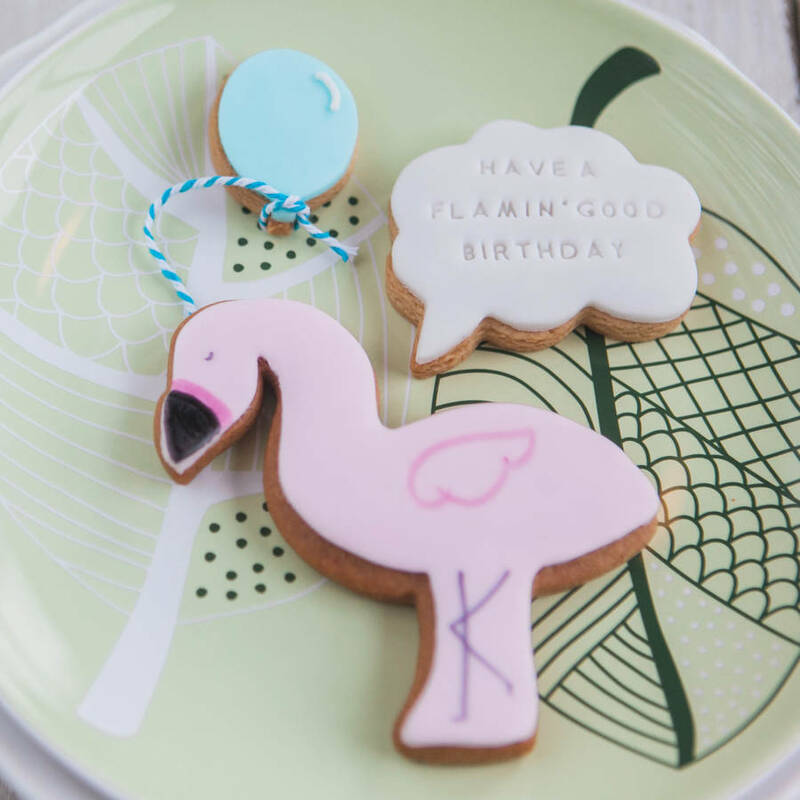 Sugarpaste (ready made fondent icing): glucose syrup, vegetable or palm oil, emulsifier E471 or mono-and diglycerides of fatty acids, stabiliser E413 or xanthan gum and cellulose, acidity regulators E260, E262, preservative potassium sorbate and natural flavouring. Colours may include: E422, E1520, E551, E110, E124, E129, E133, E155, E102, E122, E153, E104, E159. This product is dispatched to you by Honeywell Biscuit Co.